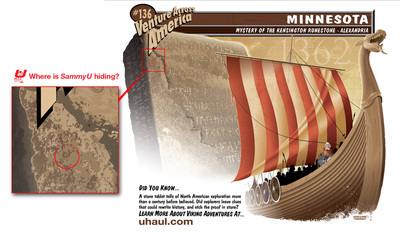 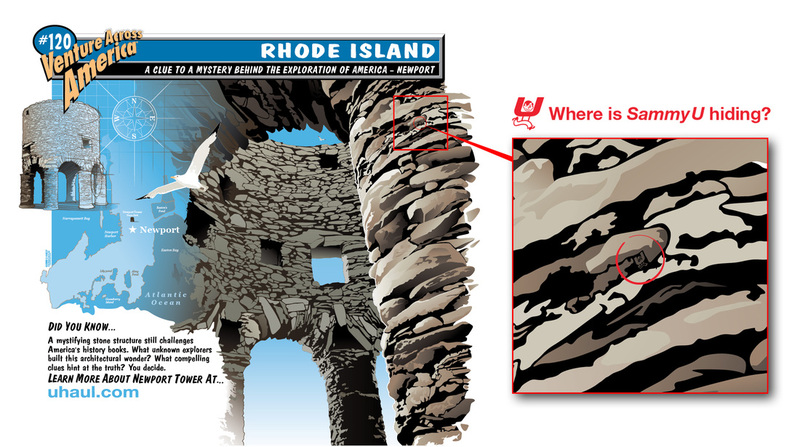 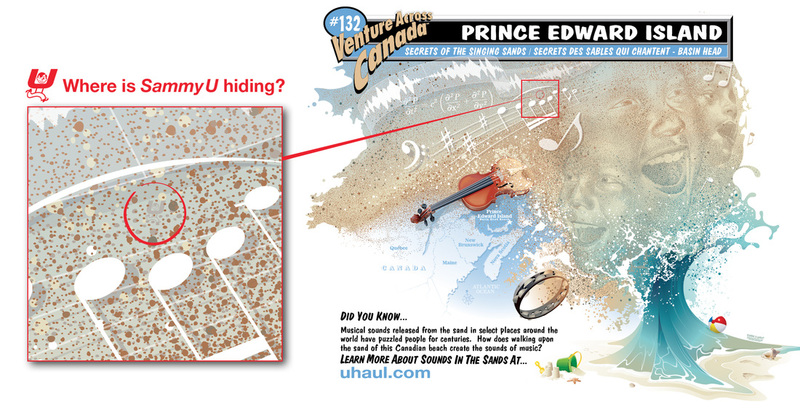 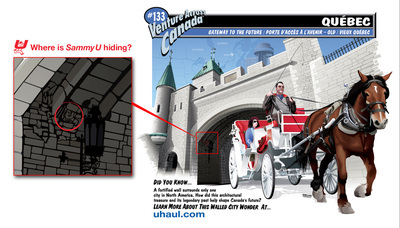 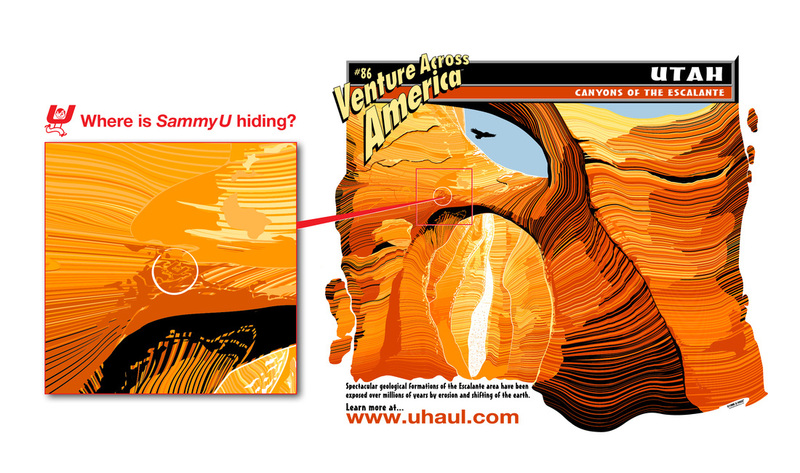 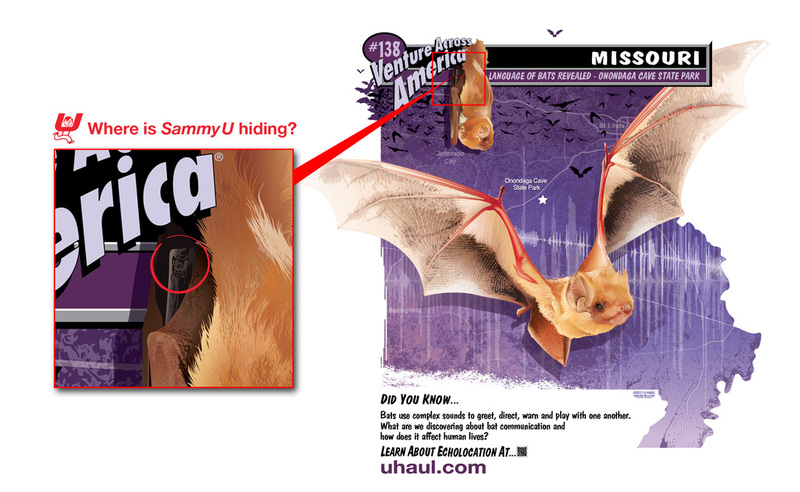 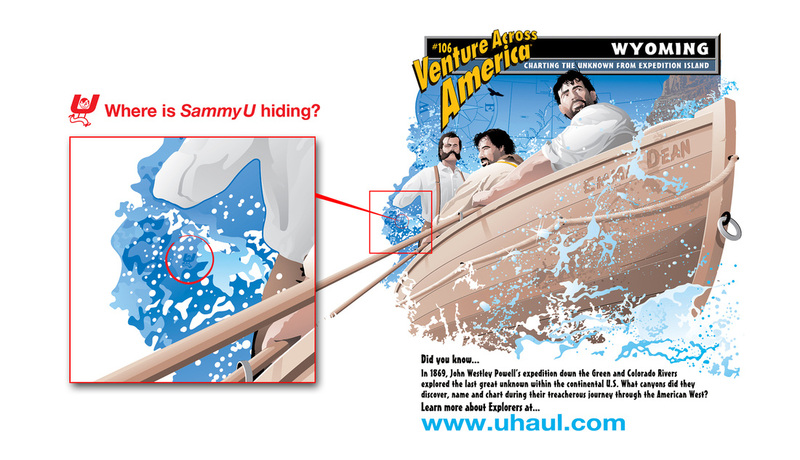 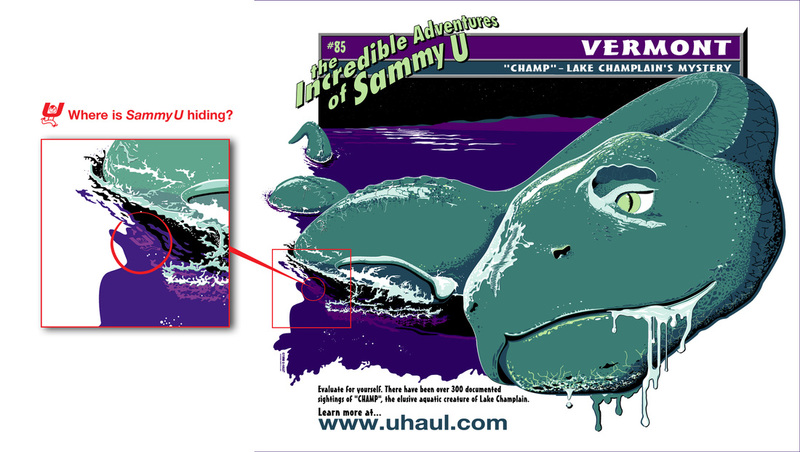 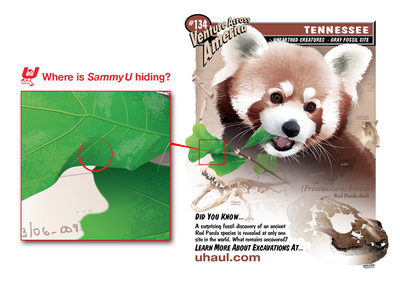 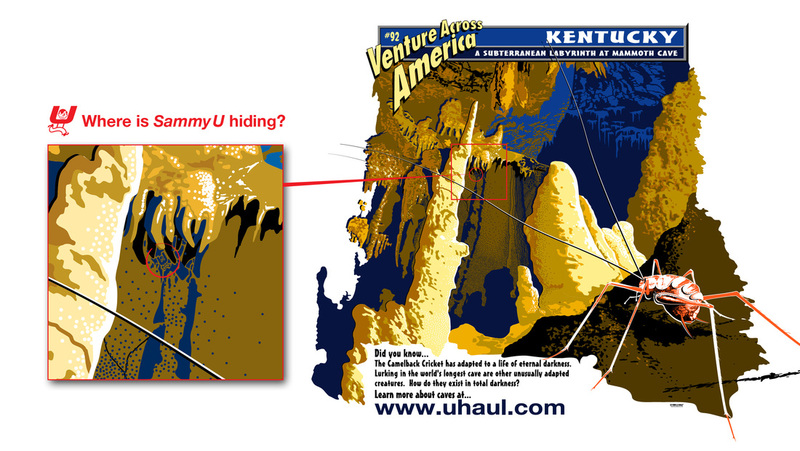 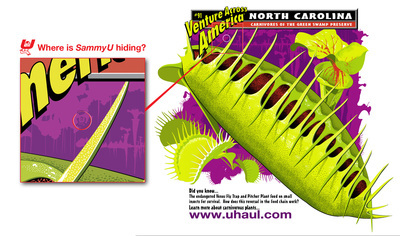 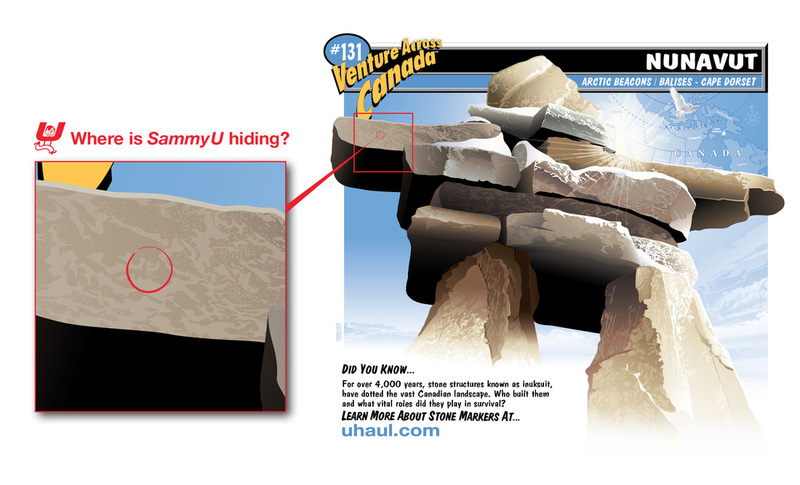 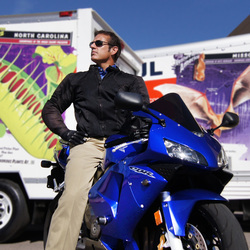 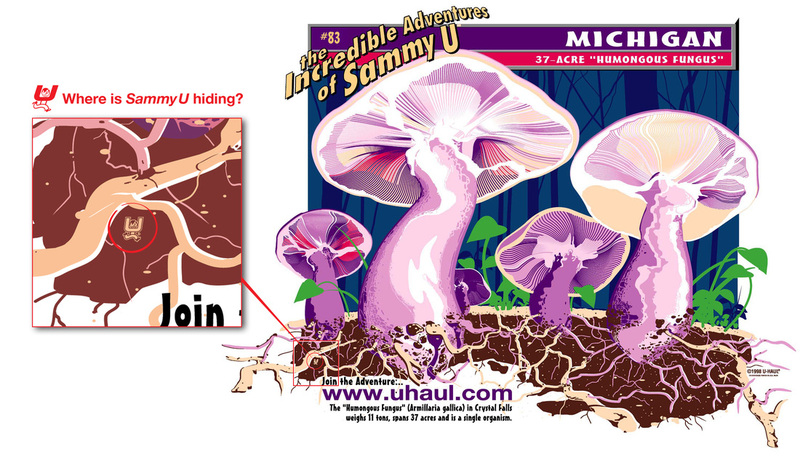 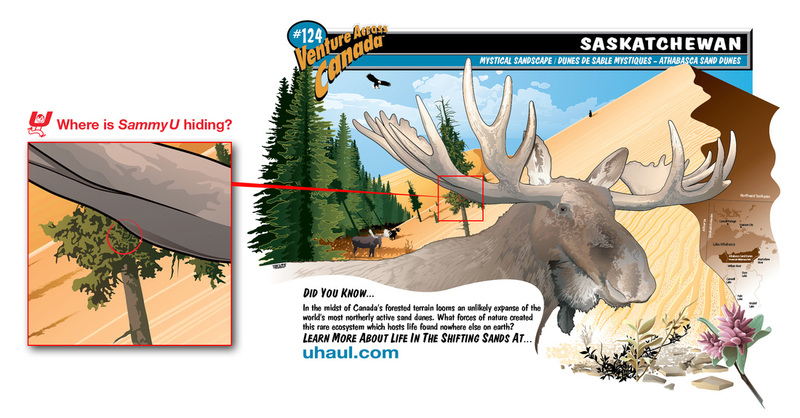 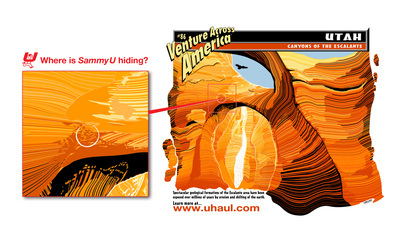 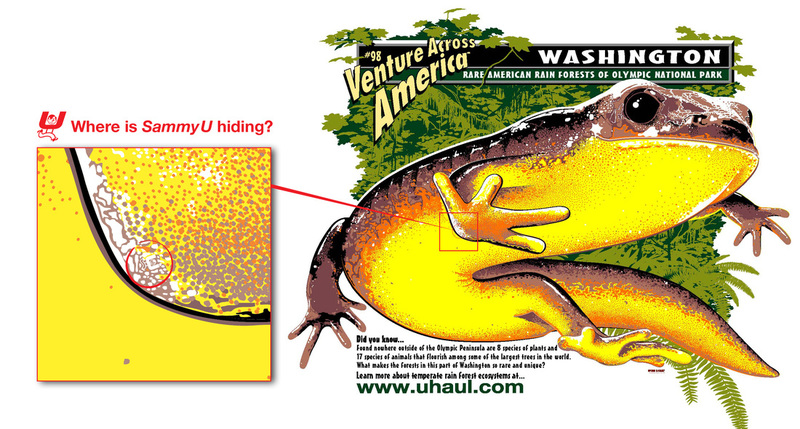 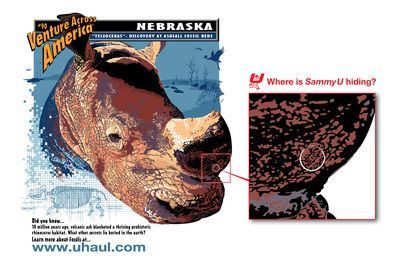 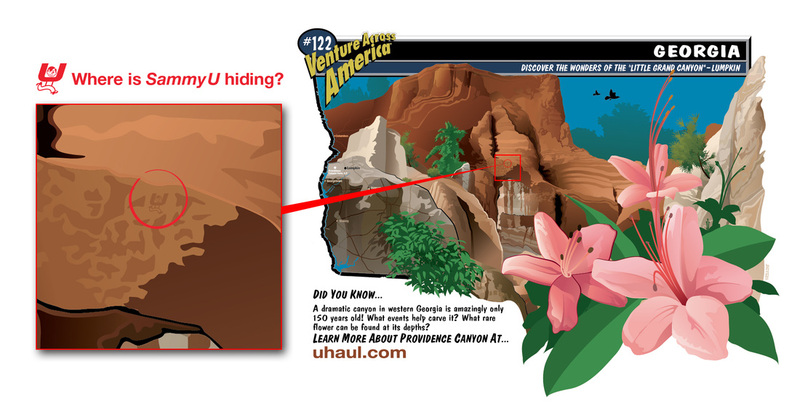 As the creator of the iconic images on the side of U-Haul trucks, I have had many people request the whereabouts of a little character I have been hiding in the graphics. The character is known as "Sammy U" inside the company. 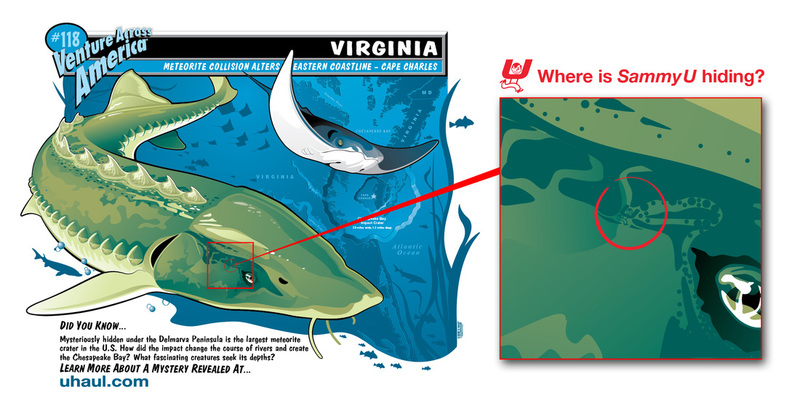 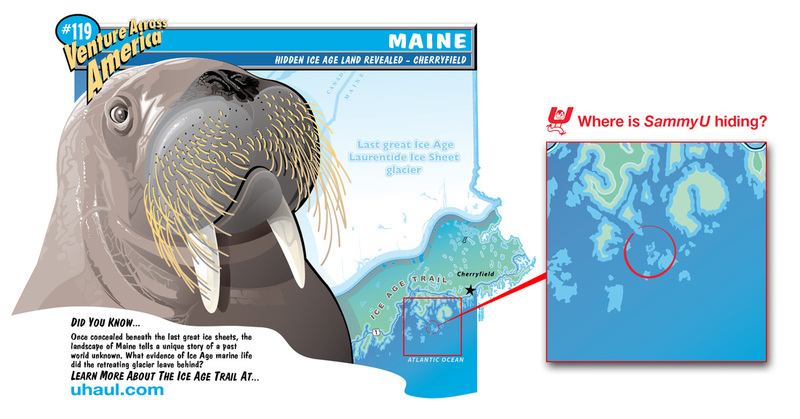 Due to popular demand, I am sharing his location with you in the images below (they are in the order in which I created them from most recent). 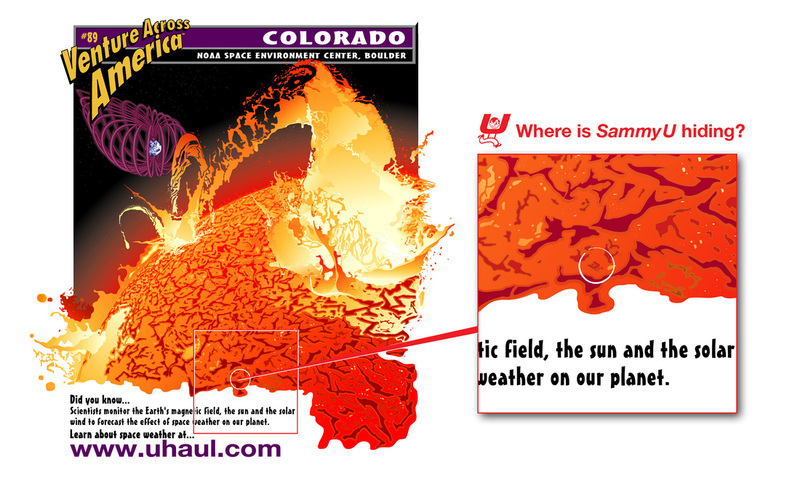 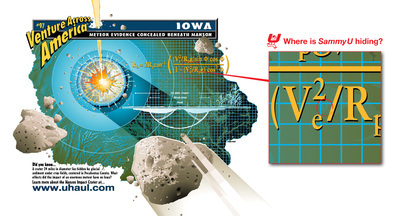 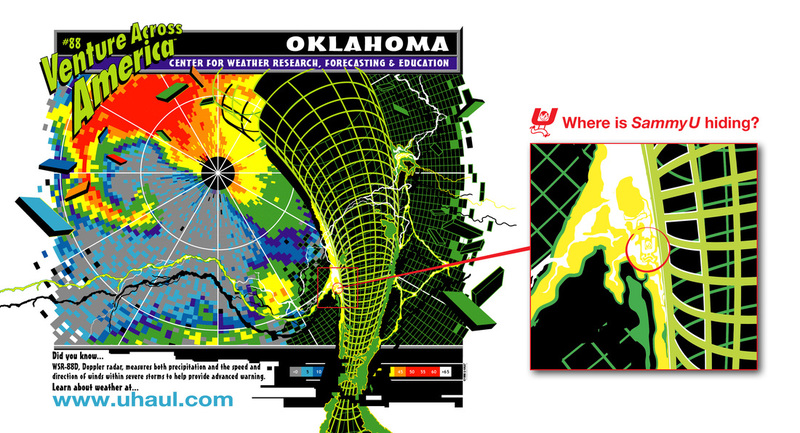 The first four graphics I designed (Kansas, Nevada, New Mexico, and California) do not have the little guy incorporated in it. 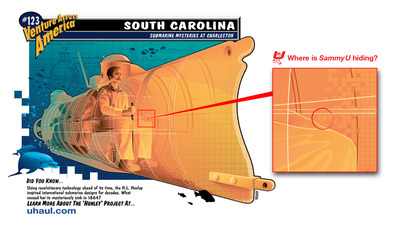 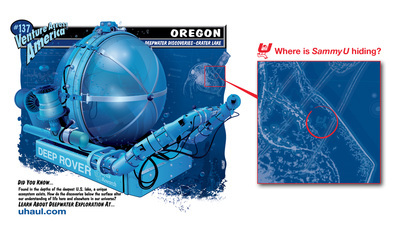 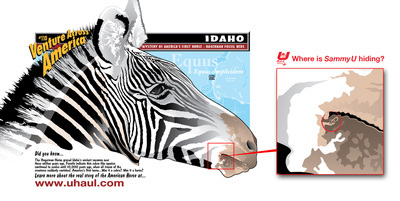 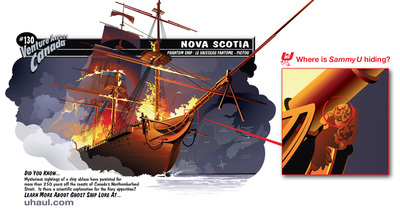 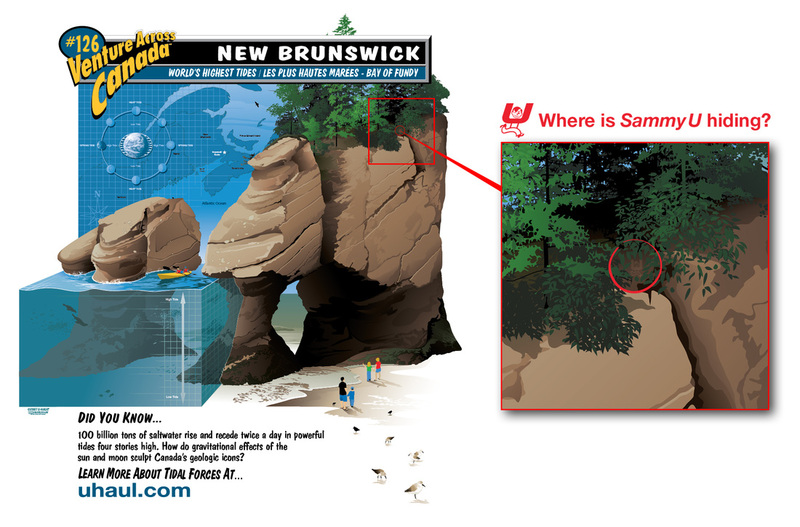 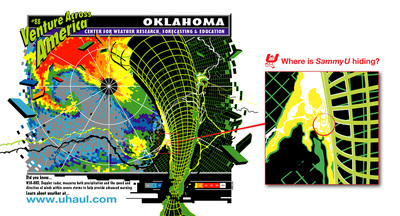 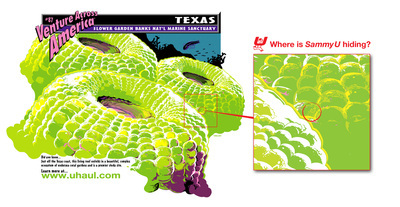 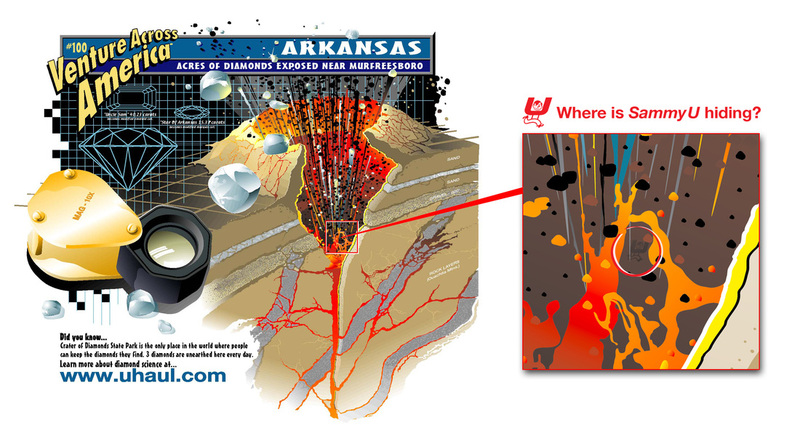 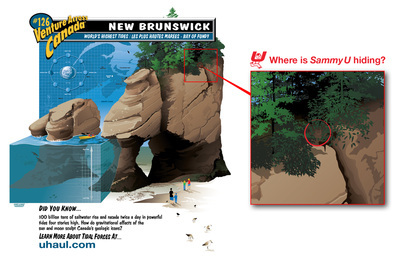 It wasn't until the fifth graphic (Arizona) that the character appeared in the artwork. 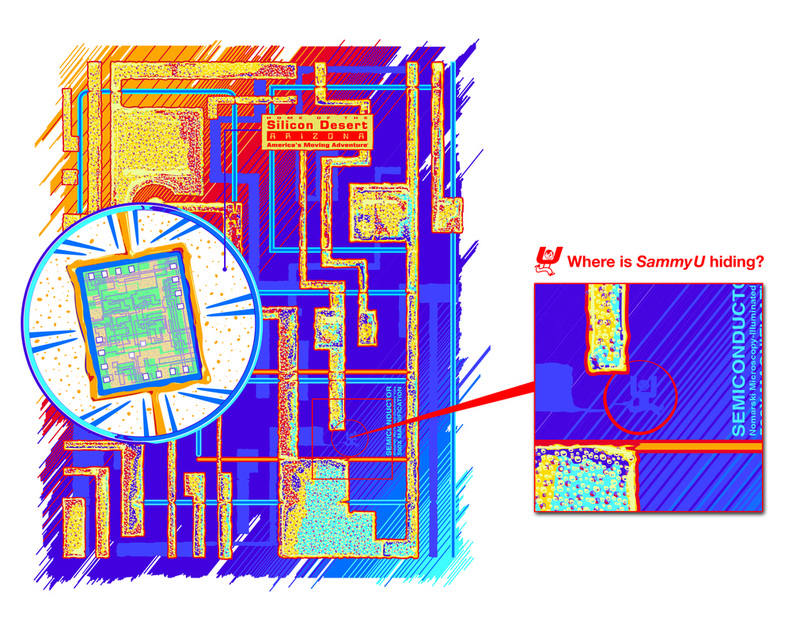 While researching reference I stumbled across a logo stamped in a computer microchip under a microscope. 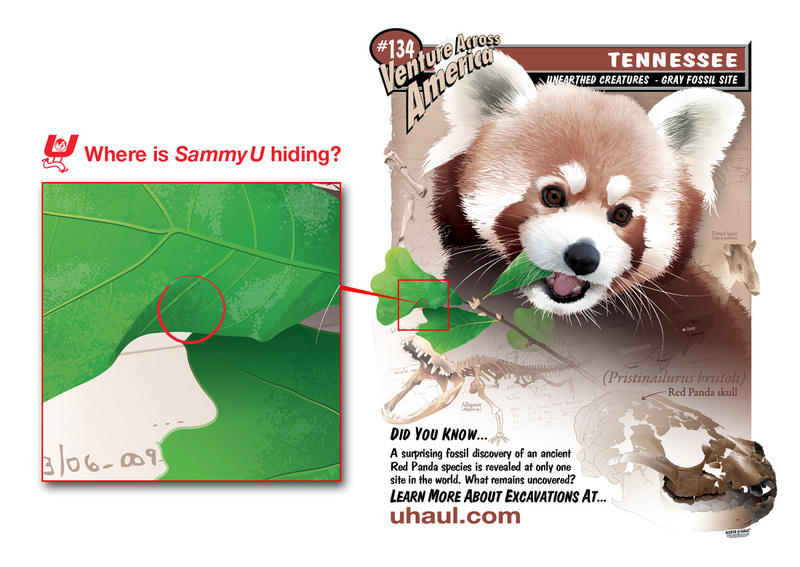 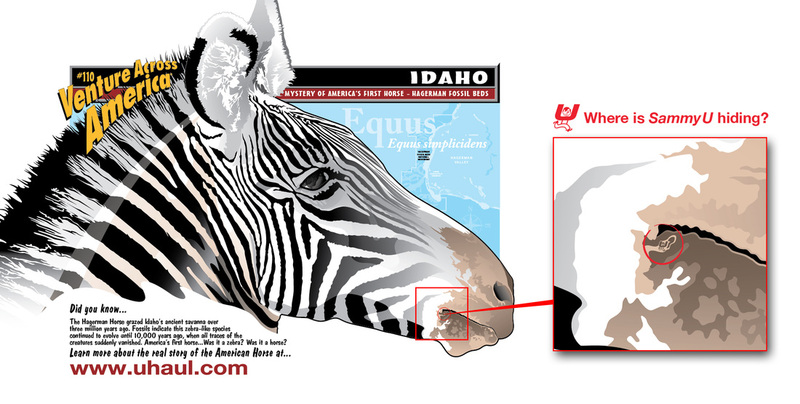 I decided to incorporate the mascot in the graphic and it became a "must have" in every graphic. 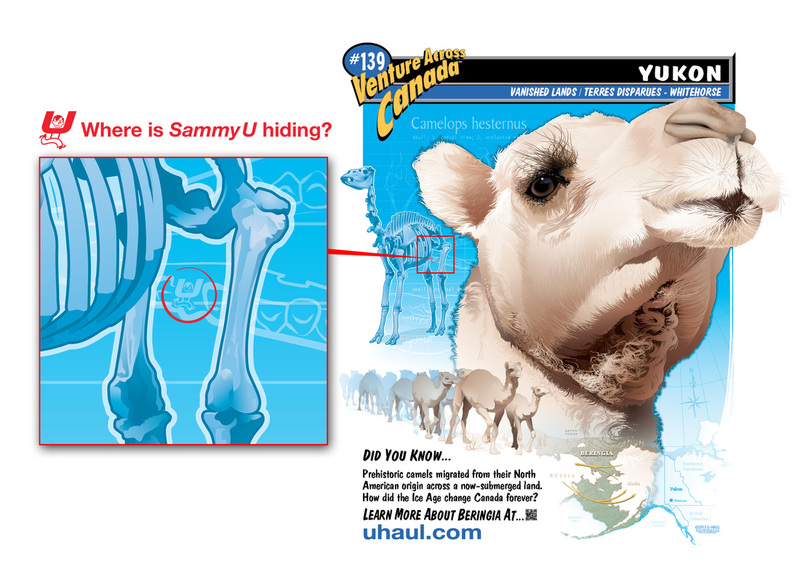 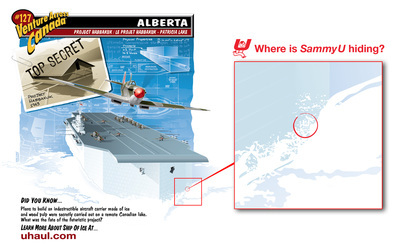 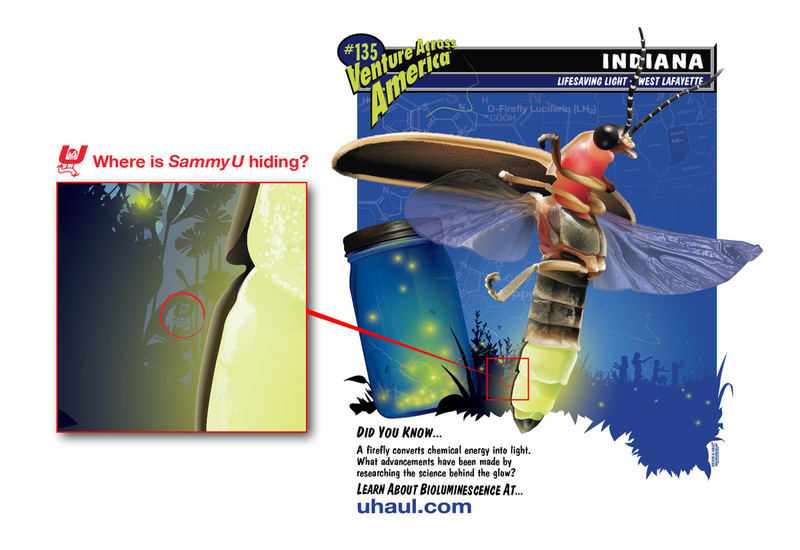 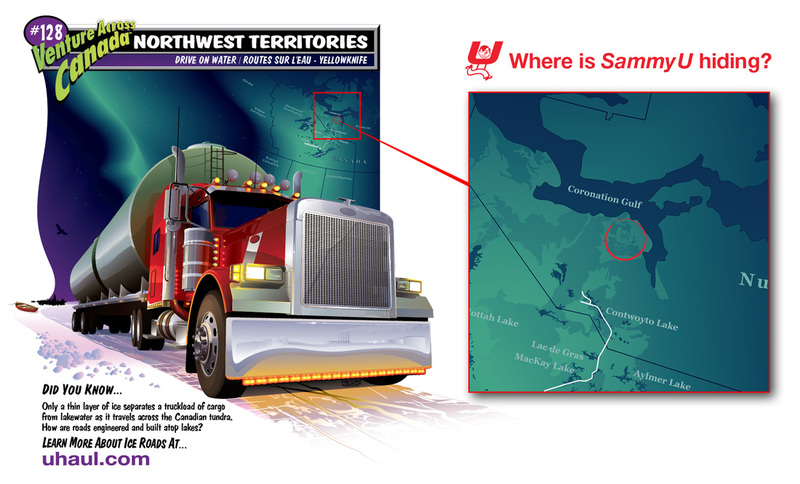 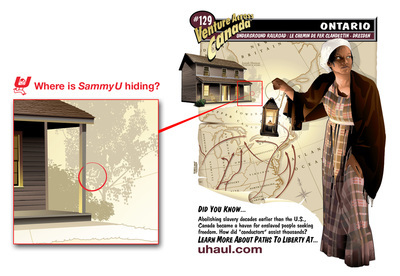 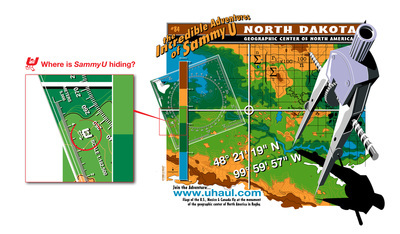 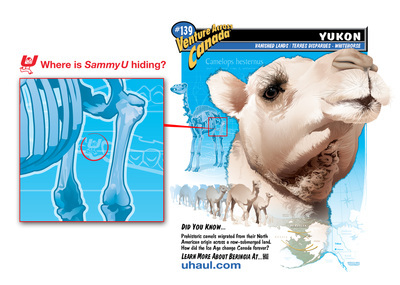 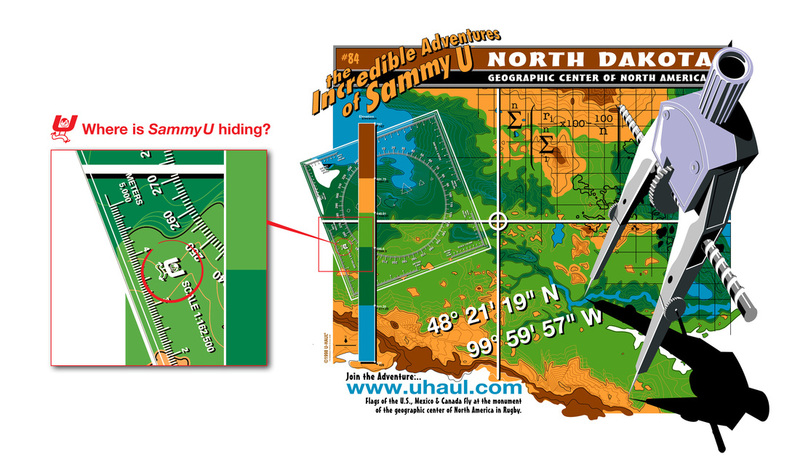 At the time, my six year old daughter Samantha (no relation to "Sammy U" just a coincidence) would tell me where to hide "Sammy U" for each graphic. 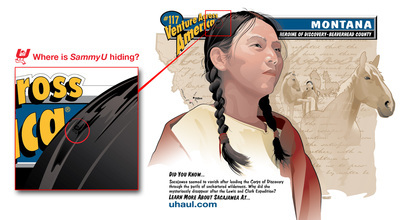 She has been hiding them for me through the entire series, until she was 23.